Our Easter Egg Hunt at Johnstown will take place from Saturday 13th to Monday 22nd April, 11am - 4pm. There will be a choice of mini and mega trails around the gardens at Johnstown. No need to book! A brand new “3 in 1” visitor experience at Johnstown Castle, Co. Wexford is set to be unveiled at the Castle, Museum and Gardens in May 2019. This is a hugely exciting addition for Irish tourism and is set to be one of Ireland’s foremost tourist attractions. Johnstown Castle Estate, Museum and Gardens is a beautiful national treasure which needs significant ongoing work and a substantial amount remains to be done in the coming years. 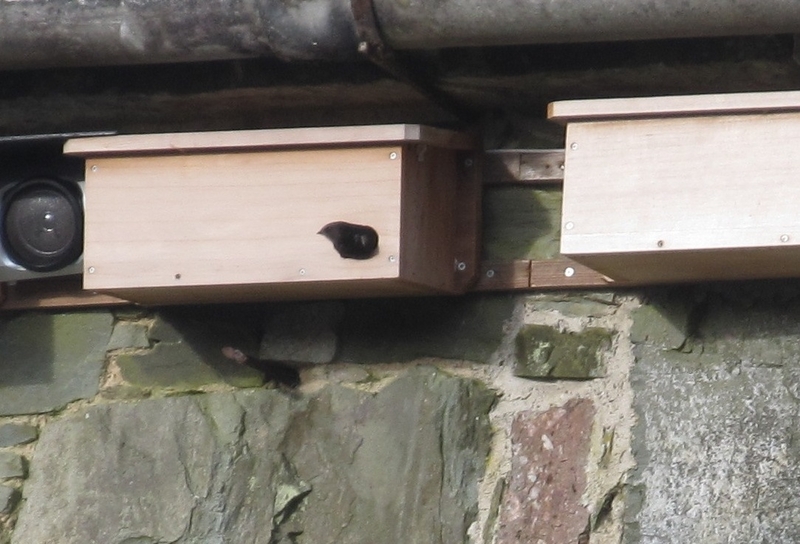 A great deal of time, attention and consideration was given to the new membership structure at Johnstown Estate. A new walk around the lower lake including additional pathways. Free entrance and guided tours to two other Irish Heritage Trust properties (www.irishheritagetrust.ie) will be available to members: Fota House, Arboretum & Gardens in Cork and the National Famine Museum & Strokestown Park in Roscommon. 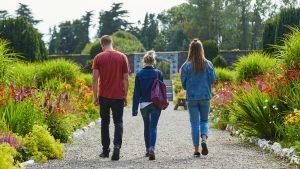 In addition to all of this, those who purchase membership will help to ensure that Johnstown Castle, Estate, Museum and Gardens will thrive for future generations to enjoy. Johnstown Castle will be operated by the Irish Heritage Trust, an independent charity which was set up to bridge the gap between those heritage properties fully supported by direct public funding and those in private ownership. 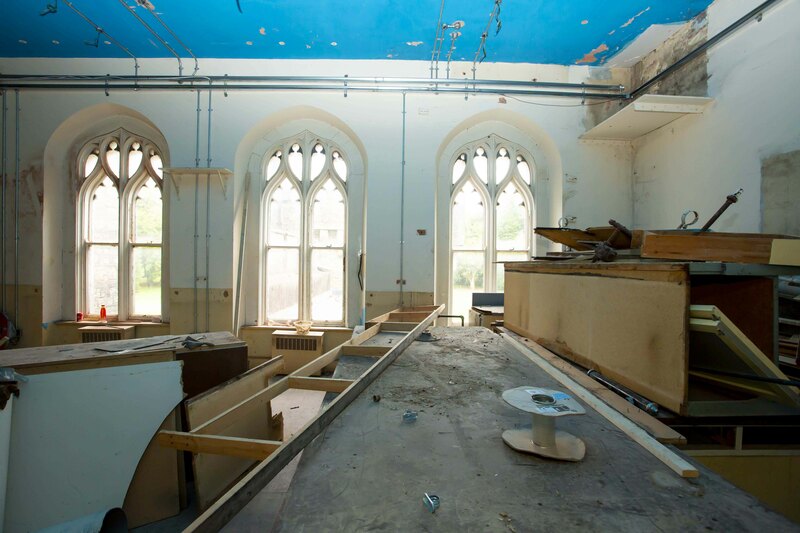 The Trust works to build financially resilient heritage properties through a combination of strategies, including commercial activities, membership, volunteering and corporate/other partnerships. 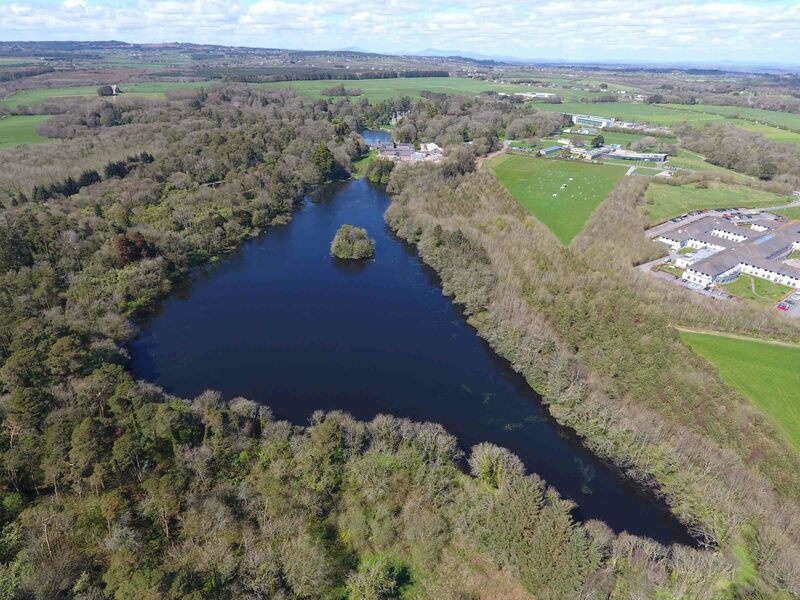 This is necessary to ensure that heritage properties like Johnstown Castle and its surrounding gardens and lakes can be supported, conserved and developed over the longer term for the benefit of the communities living in proximity to them. This is the just beginning of the next phase of Johnstown’s journey and we hope members and new visitors will find lots to enjoy. 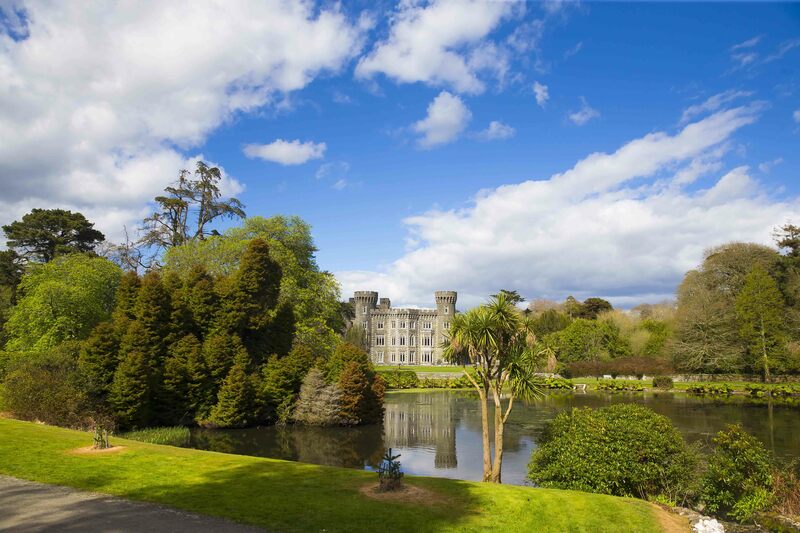 The Irish Heritage Trust plans to continuously reinvest in Johnstown Castle Estate, Museum and Gardens so that visitors and members experiences are constantly improving and changing according to the high standards expected in today’s world. Please contact: info@johnstowncastle.ie or telephone 053 9184671. A brand new visitor experience at an ancient heritage attraction in Ireland’s south-east is set to open to the public in May 2019. Johnstown Castle, Wexford’s greatest surviving country estate, is currently home to the Irish Agricultural Museum in the estate’s stable yard – providing a nostalgic journey through Irish farming and social history. To date, however, the Gothic Revival castle itself has never been open to the public; this is all set to change as the new Johnstown Castle Estate, Museum & Gardens experience is to open to the public in May. The Irish Heritage Trust, an independent charity, was announced in 2015 as the successful applicant to work with Teagasc, the Irish Agricultural Museum and the local community to develop a new and exciting visitor experience at Johnstown Castle which includes the famous Daniel Robertson Ornamental Gardens. At present, the €7.5 million project works are underway at Johnstown with an entirely new ‘3 in 1’ attraction set to be unveiled at the castle, museum and gardens. A new visitor centre is being built in the castle courtyard including an extensive shop specialising in local products and a 120 seat café with terrace. The castle at Johnstown is undergoing conservation works required to allow public access and to safeguard the castle’s future including essential repairs and electrical work. The castle tour will include the adjoining 86 metre original ‘servants’ tunnel’, believed to be the longest in the country and also opening to the public for the first time. 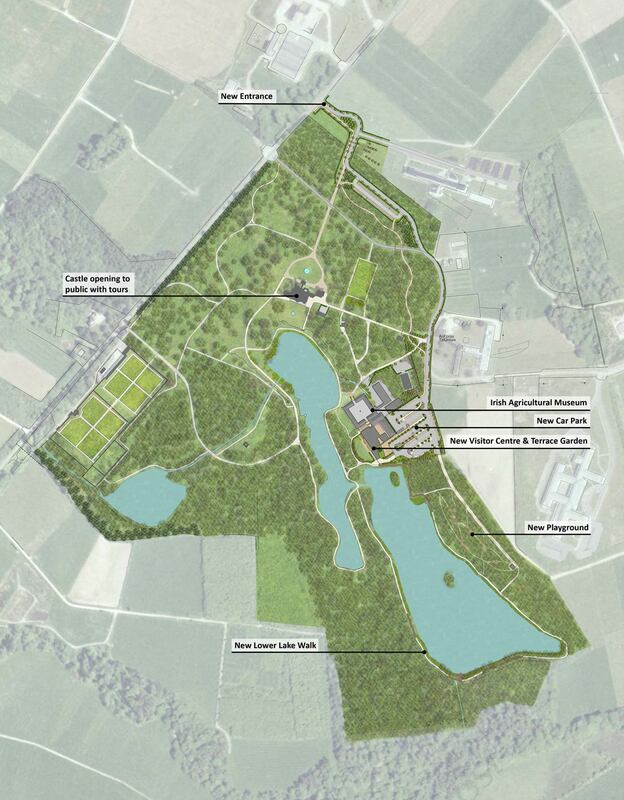 The Johnstown visitor experience will also offer access to the stunning lower lake area to meander and explore, a new playground, as well as new parking and entrance arrangements with ample car and coach parking. Charming garden walks will be available in the tour experience as well as the existing Irish Agricultural Museum. The Museum’s exhibitions explore the collection of folk, farming, rural history and objects from the turn of the 18th century until the middle of the 20th century. “This is a vast and exciting project at Johnstown and we are delighted to be completing this initial phase of work. We, along with the Irish Heritage Trust look forward to providing a warm welcome to all our visitors both returning and new to this wonderful ‘3 in 1’ attraction in 2019,” said Tom Doherty, Chief Operations Officer of Teagasc. The Irish Heritage Trust was established in July 2006 as a joint initiative between government and the voluntary sector. The Trust has had great success in developing other heritage projects and bringing places to life over the years including Fota House and Gardens in Cork and Strokestown Park and The National Famine Museum, Roscommon. The works taking place inside Johnstown Castle and the construction of the new visitor centre are wide-ranging and continue apace; despite this, the works do not impact the facilities currently open to the public. The Irish Agricultural Museum and Tearoom along with the Johnstown Castle Gardens, Shop and Tea Room will be open. 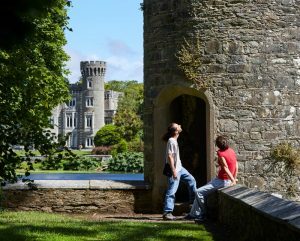 Johnstown Castle, Estate, Museum & Gardens in Ireland’s south-east is not only a hugely significant historic site of national importance but a place of great romantic charm and tranquillity. 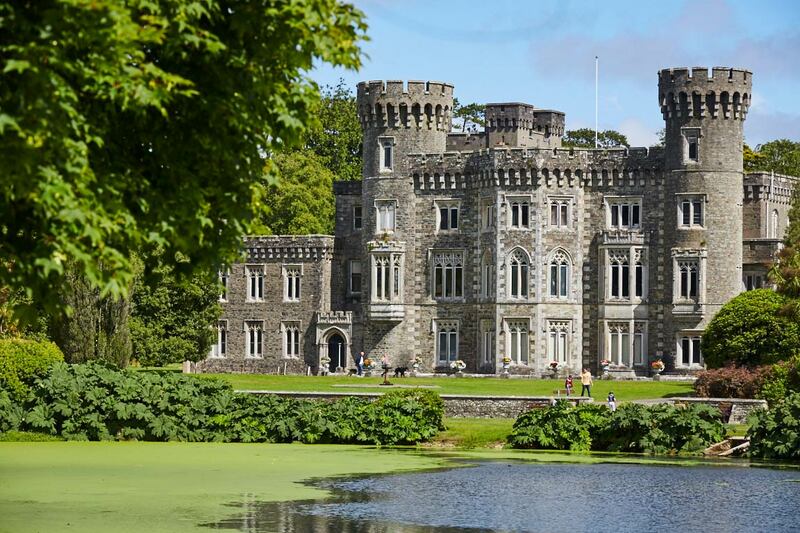 The spectacular lakes, walled gardens and sculptures all offer the beautiful setting for the great 19th century castle designed by the Victorian architect Daniel Robertson who is responsible for many projects in Ireland including Powerscourt in Co. Wicklow. 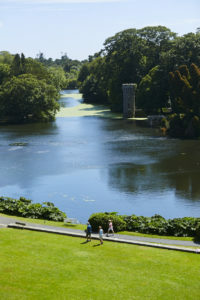 Johnstown’s romantic charm can be enjoyed on the glorious lake walks on the estate which are open all year round. 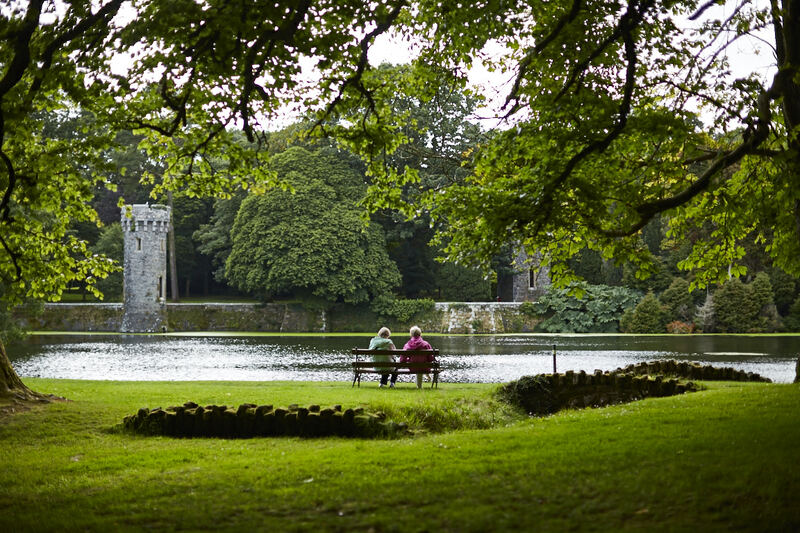 The Castle lake is the middle of three lakes and was the first to be constructed in the late 1830s-40s as part of Hamilton Knox Grogan Morgan's grand vision for the Estate, working in partnership with renowned architect Daniel Robertson of Powerscourt Fame. At almost five acres it is home to numerous waterfowl. Around the fringes of this lake are two follies, including a fishing tower, also seven statues which were completed at the same time as the lake. They are entirely in keeping with the romantic vision being brought to life by both owner and architect. An additional lower lake walk will open in early summer 2019 for the first time in a hundred years with a new woodland children’s play area. 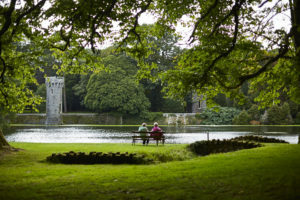 Once lower lake walk is completed, there will be 4.1km of beautiful walks available at Johnstown Castle, Estate, Museum and Gardens. The works taking place inside Johnstown Castle and the construction of the new visitor centre are wide-ranging and continue apace with opening set for May 2019. Despite this, the works do not impact the facilities currently open to the public at the Irish Agricultural Museum and Peacock Tearooms along with the Johnstown Castle Gardens. 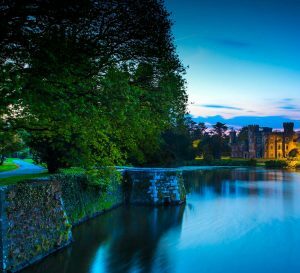 Johnstown Castle Estate, Museum & Gardens and the ongoing restoration and conservation works were featured in the media recently with a number of features in the Irish Times and Irish Examiner. 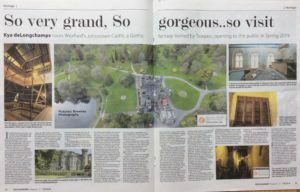 "So Grand so Gorgeous...So Visit", The Irish Examiner, September 1st 2018 - click here to read. 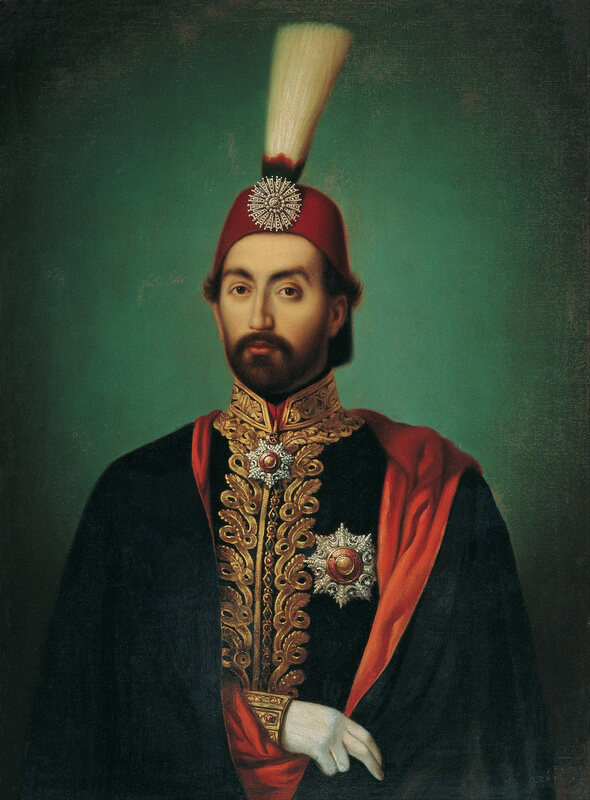 "Restoration Drama at Wexford's Fairy Tale Johnstown Castle", The Irish Times, August 25th 2018 - click here to read. The works taking place inside Johnstown Castle and the construction of the new visitor centre are wide-ranging and continue apace with opening set for spring 2019. Despite this, the works do not impact the facilities currently open to the public at the Irish Agricultural Museum and Peacock Tearooms along with the Johnstown Castle Gardens.